The president threatened a government shutdown over border-wall funds as the risk of a U.S. debt default looms weeks away. Trump is angering the lawmakers he needs on the issues. Ironically, his divisiveness could actually unite the middle to resolve these economic hurdles. 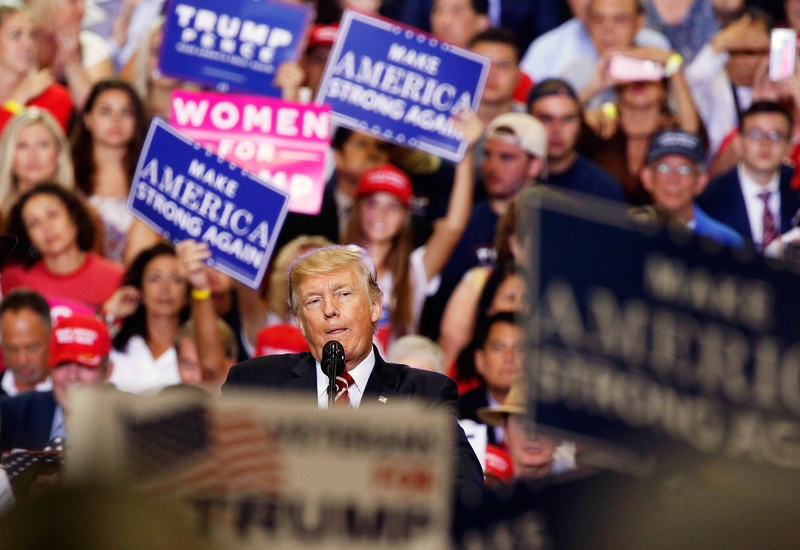 U.S. President Donald Trump speaks at a campaign rally in Phoenix, Arizona, U.S., August 22, 2017. During a rally in Phoenix, Arizona, U.S. President Donald Trump said Aug. 22 he was in favor of shutting down the American government in order to obtain funding to build a wall along the Mexican border. He made his comments ahead of the end of the 2017 fiscal year on Sept. 30, after which the government could be shut down if funding is not extended or a new 2018 budget is enacted. "If we have to close down our government, we're building that wall," Trump said. The United States is also facing a Sept. 29 deadline, when Treasury Secretary Steven Mnuchin estimates the U.S. government will run out of funds to pay its bills, which could prompt a default unless the $20 trillion debt ceiling is raised by Congress. Republican Senate Majority Leader Mitch McConnell said on Aug. 21 that there was “zero chance” Congress would fail to raise the debt ceiling by that deadline. But some GOP members in Congress want to attach spending cuts to debt-ceiling legislation.